Still time to get your carpets nice and clean before your Thanksgiving gathering next week. 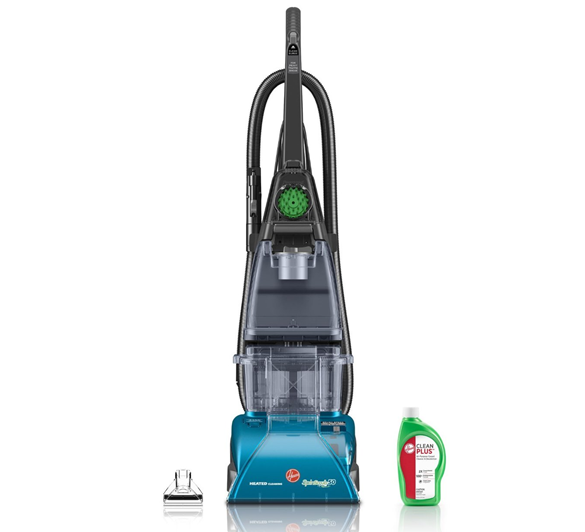 Snag this deal today on the Hoover SteamVac Carpet Cleaner with Clean Surge for $75 ($179.99 reg) and get FREE 2-Day Shipping with Amazon Prime. If you aren’t already a Prime Member you can get a FREE 30 Day Trial here and take advantage of free shipping, streaming music, TV, Movies and more. As with all deals, the price and availability are subject to change anytime. Always be sure to verify price before completing your transaction. Today’s Amazon Deal of the Day is a great one for pet parents and anyone planning on entertaining this holiday season. 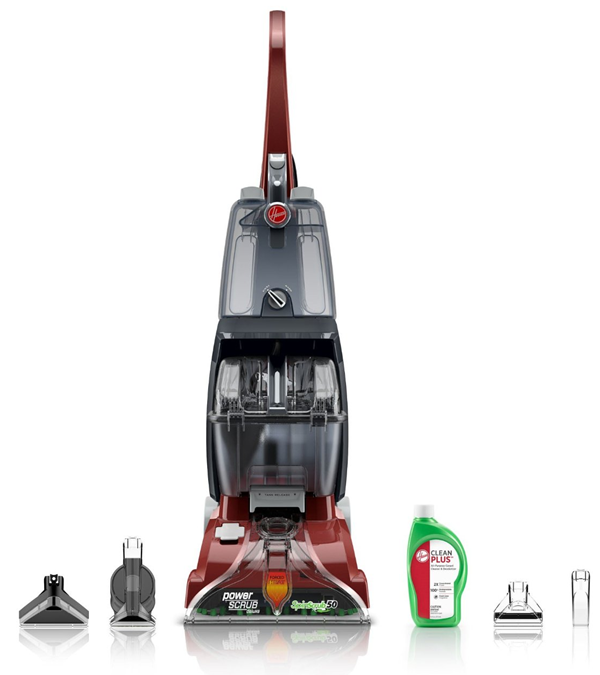 The Hoover Power Scrub Deluxe Carpet Washer is on sale for $104.99 ($219.99 reg). That’s 52% OFF regular price and includes FREE Shipping. This model is the #1 Best Seller in Carpet & Upholstery Cleaning Equipment on Amazon and has a 4.5 out of 5 Star rating. Read 2,800+ Customer Reviews here! 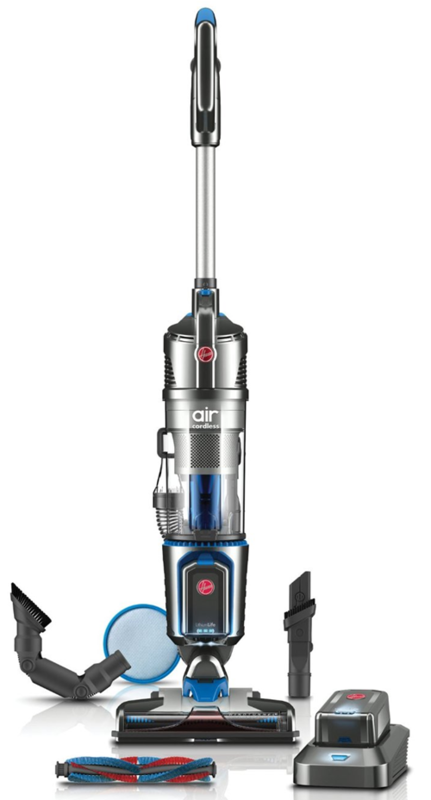 Check out this deal on the Hoover Air Cordless Series 3.0 Bagless Upright Vacuum. It’s on sale for $199.99 ($299.99 reg). FREE Shipping is included, along with a 5 year limited warranty. Exclusive WindTunnel 3 Technology uses three channels of suction to lift and remove deep-down, embedded dirt. Its lightweight design weighs less than 10 lbs and its steerable technology allows you to clean around furniture with ease. LED Headlights makes it easier to see where you need to clean. No loss of suction** cyclone technology delivers constant, powerful suction and high capacity, easy-empty and easy-clean dirt cup holds up to 1.05 liters. Includes a 2-in-1 dusting and crevice tool to clean crevices, vents and furniture surfaces, an additional filter, a hard floor brushroll with extra soft bristles for hard floors and a pivoting dusting tool to easily clean hard-to-reach places. As with all deals, prices can change quickly and without notice. Be sure to verify the final price before completing your transaction whenever shopping online. Today’s Amazon Deal of the Day is perfect for homes with pets or anyone who needs help keeping floors and furniture clean. 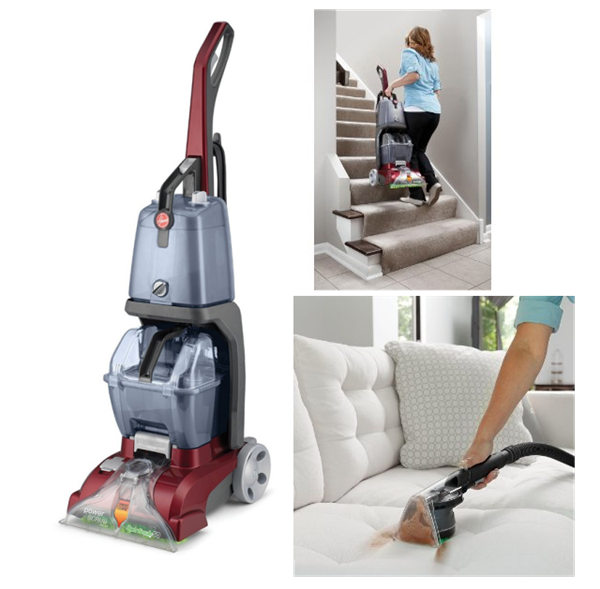 It’s the Hoover Power Scrub Deluxe Carpet Washer and it’s on sale for just $109.99 ($219.99 reg) including FREE Shipping. This is a one day only deal, so don’t miss out!